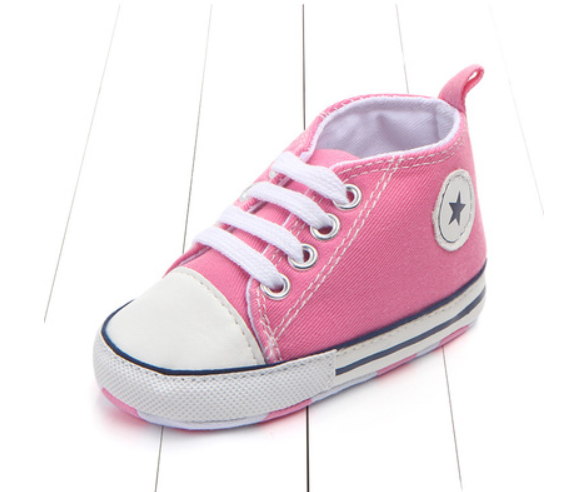 Our classic converse style first shoes give a stylish edge to compliment any outfit. 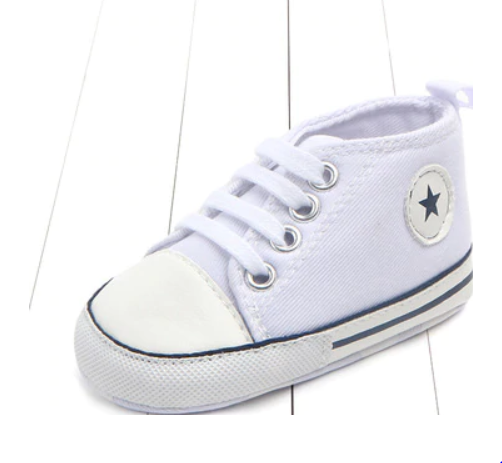 Made from a soft canvas outer material, these high top trainers are comfortable and super easy to get on and off your little one’s feet for fuss-free outfit changes. 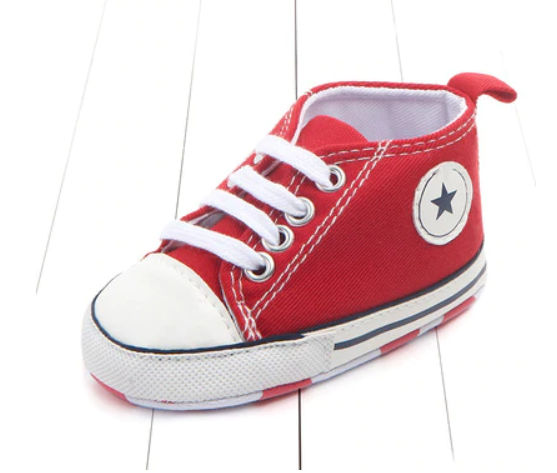 Available in a wide range of sizes, these high tops make the perfect accessory for sleepy newborns and adventurous toddlers alike! Also available in pink, navy and red. 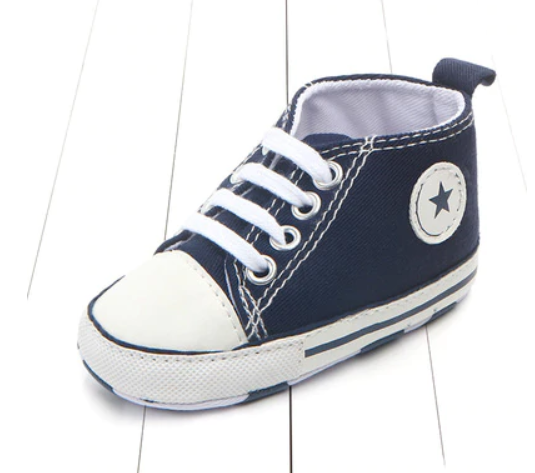 Lovely shoes to match the bib and shorts I ordered from you for my sons first birthday, he will really appreciate them. Will be telling my friends so they can order for their little ones too.